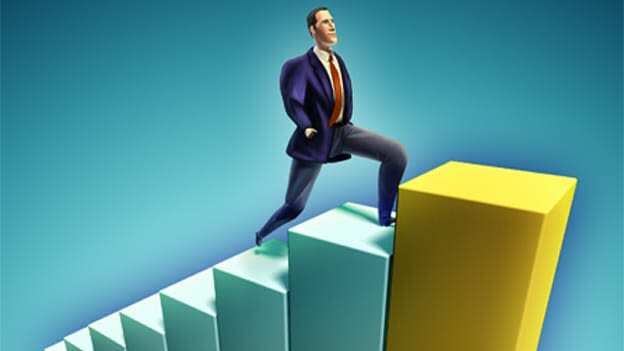 More than 71% Chief Human Resource Officers (CHRO) in a survey said that they could become a CEO in future, indicating a major shift in the career achievements of HR leaders, and also a possible transition of a CHRO into a business role. In today’s dynamic business environment, no role in the C-suite has undergone a bigger transformation as that of a CHRO. Rapid technological evolution, globalization, unprecedented cultural challenges and the need for diversity and inclusion are reshaping the roles of a CHRO. Organizations have recognized the importance of talent to drive business outcomes, therefore today’s CHROs are expected to be the change makers in response to these emerging business trends. The survey by TimesJobs titled, ‘Changing roles of CHROs’ analyzed responses from 1,100 CHROs across diverse industry verticals. Here are the main survey findings. The rapid emergence of new technologies is redefining the way businesses operate. Like any other function, HR functions are undergoing an unprecedented transformation as well. In the survey 44% CHROs agreed to the fact that technology has the potential to displace CHROs in future! Almost 42% believe that this won’t happen in the immediate future and 14% decided to express no opinion about this. As many as 74% of CHROs believe that Artificial Intelligence and automation will be an aid to the role of CHROs and only 26% see it as a threat. Changing HR trends are reshaping the role of HR professionals and making the CHROs focus more on business strategy. The survey asked the respondents about the key job responsibilities that they may handle in the future. 40% of respondents say that establishing a connection between talent, technology, and the organization will be their primary objective. As many as 29% of CHROs say improving digital experiences to drive business performance followed by customizing employee experiences will be the key trends in the future. In this VUCA world, the role of a CHRO is no more limited to talent management. More than 36% of CHROs say that their roles have evolved from being that of a talent strategist to functional leaders. Whereas, 34% of CHROs believe that CHROs are emerging as business leaders, also playing a vital role in executive leadership. Although the current business scenario demands CHROs who are assertive, data-driven and business focused, but still, 29% of respondents of the survey think that a CHRO can never be considered for the position of a CEO. A majority (71%) of respondents felt that a CHRO can become a CEO in his/her career span. Moreover, 46% of CHROs see themselves emerging as business leaders in the next five years, followed by HR Director and Board of Directors as their second and third choices. Commenting on the findings of the survey, Ramathreya Krishnamurthi, Business Head, TimesJobs and TechGig said, “As business leaders, CHROs need to be proficient in general management skills with a broad business acumen and strategic mindset, so as to turn talent management into a tool of business transformation”. The survey findings reveal that around 31% of respondents consider increased digitization and technological innovation to be the main factors that have created that need for CHROs to evolve in their roles. Whereas, changing preference of the multigenerational workforce and existing skills gap are other two other factors influencing the role of CHROs. Today, a CHRO is expected to possess a broader business acumen to convert conventional HR practices into measurable competitive advantages. Respondents to the survey have clearly expressed their opinion that managing today’s multigenerational workforce is the biggest challenge for them at present. According to 26% of CHROs, leadership development is another critical expectation from them to help their organization gain competitive advantages in the future.